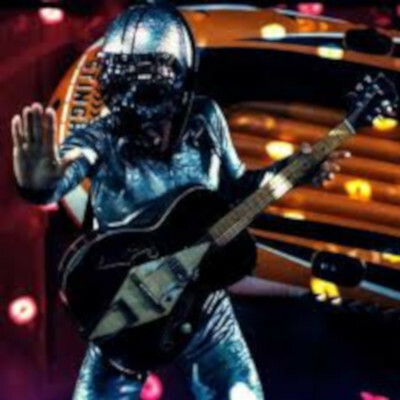 In fact Bob Log III was born in Tucson, Arizona and is a virtuoso slide player who plays with extremely thick strings tuned very loose that gives him his unique “floppy” sound. Growing up, Log listened to artists such as Chuck Berry, Bo Diddley and AC/DC, later commenting that "That's what rock'n'roll is to me. You take a guitar, turn it up and have a good time…everyone else can go listen to Pearl Jam if they want to.” Bob Log got his first guitar at the age of 11, and by the age of 16 he had become smitten with Delta Blues, modelling his slide guitar style on that of Mississippi Fred McDowell. Log began his music career recording with Mondo Guano, a four-piece metal-blues band based in Arizona. Upon leaving Mondo Guano, Log went on to perform as one-half of seminal early Delta punk blues duo Doo Rag. Bob Log III was born when Bob was in the middle of a US tour with Doo Rag and his drummer quit. With necessity , ever the mother of invention, Bob donned a helmet he had picked up in a thrift store, took to the stage and kicked his guitar case for percussion and thus the legend of Bob Log was born. Bob Log eventually found his spiritual home on maverick Mississippi blues label Fat Possum in 1998 and released a trio of classic records: School Bus, Trike and Log Bomb.